I’ll admit it. I hate change. Hate it. Just ask my husband. And kids. Unfortunately, I chose to be an educator, which means change is constant. It’s not always bad, and I know that, but I still say it: I hate change. But I LOVE the new interface on ScootPad! So far, it’s awesome! 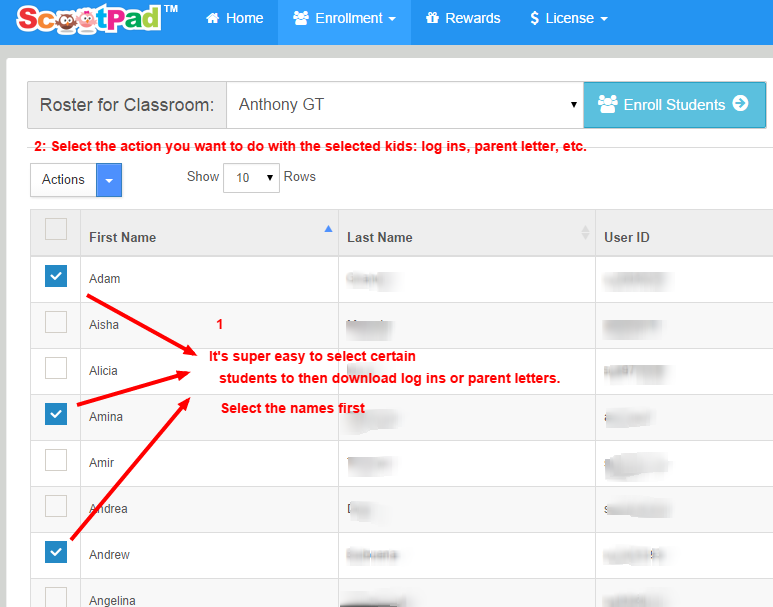 One change I noticed instantly that I love is the ability to download only select student log ins or parent letters. This is so valuable to me, as I will add or remove students across the year. Needing to rifle through huge PDFs to find the kids I want was annoying. The new select system is super simple! Choose only the students you want to get log ins for! Choose which students get which rewards! And I discovered these 2 treasures within the first 3 minutes of opening the new platform. I’m so excited to keep experimenting and seeing what other goodies await me! 🙂 What useful new tools do you have at your disposal?